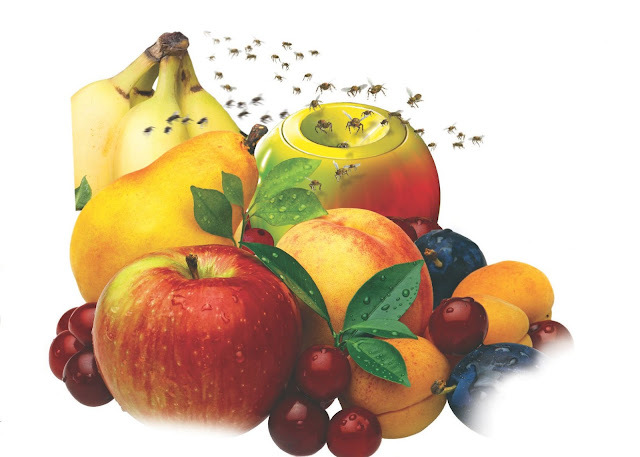 Fruit flies and the methods to get rid of them by natural means! Insects are the most common species that can be seen in and around our living places. Though they are smaller in size they can be quite annoying! And they even carry disease-causing microbes with them and this may result in many health defects. Among various insect types, the mosquitos and flies are more common. Other the mosquitos, these flies cannot cause pain in an individual they are equally harmful. So it becomes necessary to get rid of these flies. There are many natural ways that are available and are adopted to avoid the infection from the flies. There are various types of flies that can be found in our places the more common one is the fruit fly, as the name suggests these flies are drawn more towards the fruits. As consuming fruits are common, it can cause many bacterial infections in humans. Thus, there are various remedies available online for this fruit fly problem. 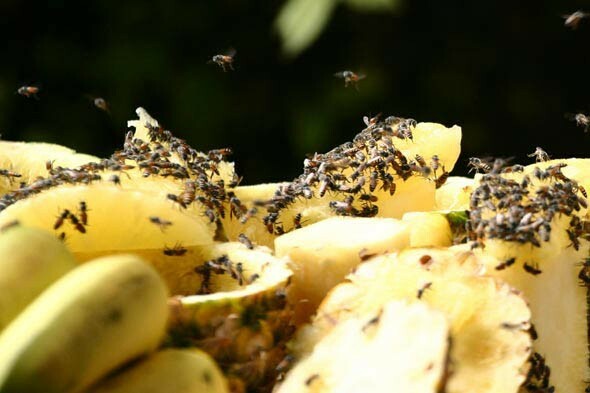 Fruit flies are the carrier of infections! Fruit flies do not bite on humans or any other animals as they do not feed on the blood, unlike the mosquitos. But this doesn’t mean that these flies are harmless. Yes! Even though these flies do not cause any pain to the humans, but they carry the disease-causing microbes along with them which in turn may result in serious infections. Thus, it becomes necessary to avoid these fruit fly infections. There are various methods adopted to get rid of these fruit flies. The first thing to do is to remove the source that attracts these flies. The common sources would include fruits. And they are more attracted towards the rotten fruits. These flies are capable of smelling the fruits from a very long distance (7 kilometers). Thus the best way to avoid this fly is to keep the house clean. Lemongrass oil and Apple cider vinegar to avoid fruit flies! Proper sanitation has to be done. These flies’ carry bacteria and viruses and lay eggs over the layers on the fruit surface, when such a fruit is consumed by an individual, it results in bacterial infection. So it becomes necessary to remove all the rotten fruits and vegetables. And the major source of these flies would be the drains, as the drain may contain rotten fruits particles or vegetables that attract these flies, so drains has to be cleaned. Even if it is cleaned with hot water should be poured onto these drains for several days that destroy the eggs of the flies on those particles. And the method would include placing the rotten fruit inside a jar and covering its mouth with the plastic bag with a very small hole so this fly can enter into the jar but it cannot distinguish the way to get out. And the other major method would include placing the little-heated apple cider vinegar in the jar and following the above method of the plastic bag, flies can be killed. And lemongrass oil is also used as insect repellent. Insects do not get near the smell of this oil so mixing it with water and placing it near the food items can solve the fruit fly problem.